The F1 is back! This time with a standard ski/walk mode switch. When the first edition of this boot was recalled due to over-innovation, we had a hard time getting all the boots back from customers (in fact some still have them). That’s because the F1 walks and skis so well that folks were willing to deal with an occasional hiccup in the Tronic hands-free mode switch. 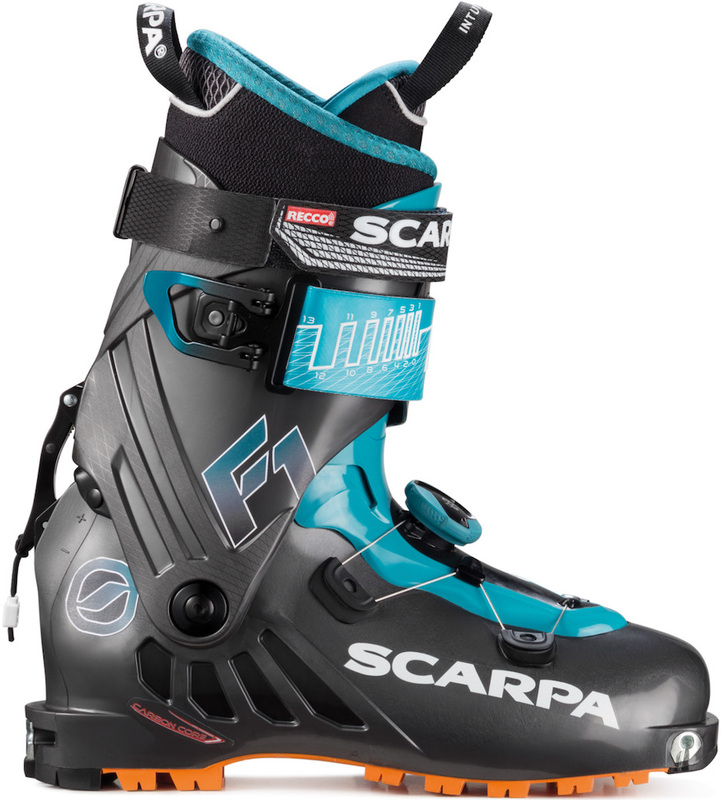 With the new version, you can now have the ski boot you want with reliable transitions at the flip of a lever. Kudos to SCARPA for pushing the boundaries with the F1 Evo, and an even bigger kudos for boldly issuing a recall at the first sign of a quality problem. You can be sure you’re getting a good product with a company that behaves like that. 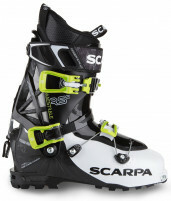 The F1 is lightweight ski touring boot, with full coverage plastic and comfy Intuition liners. The designers borrowed Alien technology by inserting carbon fiber into the lower shell in a splayed pattern that transfers power directly from your leg to the ski. The boot is topped off with a BOA system that cinches a generous 102mm last for just the right forefoot fit. Carbon Core Tech is fiber reinforced nylon that makes the lower shell more rigid. Fast Buckle works in conjunction with a burly Velcro strap for simple and secure cuff. Alien style Boa® lacing system in the lower shell lets you dial in the perfect fit. SCARPA Intuition® liners (221g ) are heat moldable and preloaded with flex zones. Evo tongue is designed to flex with your leg and can be topped up with a power strap (+26g). UFO EVO soles are the latest in durable grip from the Vibram® family of overachievers. 62 degree range of motion is what your ankles would demand if they could talk. Dynafit Quick Insert fittings help make stepping into tech bindings a treat. Two forward lean settings let you tune your stance to match your style. Update for 2018/19: The iconic Scarpa F1 is still ahead of its time but in order to keep everyone happy with shiny new boots, a new paint job was brought to the table along with some Recco hardware in the power strap. I love these boots in almost every single way, just one minor gripe regarding extra space above my instep. Does anyone have a recommendation for an insole or something that would help fill that space without hindering the boots otherwise immense comfort? Thanks! Conor, are you using any aftermarket footbed? Adding a footbed generally increases comfort and ski performance. It doesn't sound like you need a custom footbed. Superfeet makes 3 thicknesses- Green (the thickest) , Blue and Carbon. Depending on how much volume you need to take up. I haven't made any adjustments to the boot sole or shell, so it sounds like Superfeet Green is the way to go. Thanks Jeff. Do you guys recommend using a LV or MV intuition protour for a replacement liner? 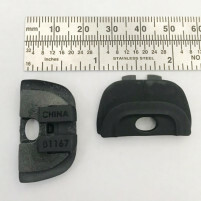 Hi Coyne, the MV liner is a little bit thicker than the stock liner, where as the LV is a little thinner. If you were happy with the fit out of the box, I would go with the MV. If you needed a little more room, I would suggest the LV. Hey guys. Im currently in the TLT7 mountain and am looking for something with just a touch (or ya know, a noticeable amount) more stiffness. Would this be a solid option in your opinions. I like my TLT's but they have a harder time with slightly bigger skis and I see people skiing fairly fat skis on this guy all the time. Also, how would you compare it with the Alien RS? Hey Jeff! TLT7 Mountain? Not sure they've ever made a TLT7 Mounta. At any rate, this would be better than a TLT6M or TLT7 on the way down. The cuff is taller and they are stiffer all around than any generation of TLT boot. It's a much beefier boot than the Alien RS and if your concern is performance on bigger skis, the F1 is still the way to go. The Alien RS is an amazing boot, one of my favorites, but for the most part it belongs on the same skis that the TLT6/7 will feel comfortable on. Haha thank you, clearly Ive been looking too much at the TLT6's. I mean tlt7 expedition but that is not what I typed out. Appreciate the info. Definitely going to look further at these bad boys. I have had these for a few seasons now. Looking to get a new boot that is similar in weight, maybe a little less and just as good of a boot. I will primarily use them as my daily driver and ski the Movement Alp Track 106's with them. Any suggestions? Hey Thomas! The Fischer Travers Carbon is fairly similar in fit, but has more than enough power to drive the AT106. Fill out our boot fitter and we'll be able to get back to you with a more in depth boot recommendation. Looking to replace my old Vulcans for this season and decided I wanted something a little more tour-friendly. 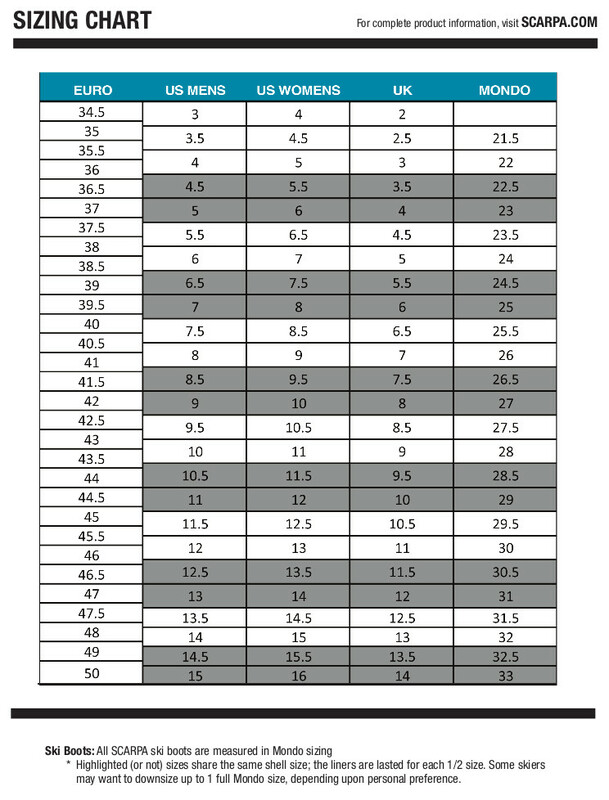 I am a 28.5 in the Vulcan - Any thoughts on if I would be best in a 27.5 or 28.5 for the F1? My knee-jerk is to say go with the 28.5 F1, but to have a much clearer idea, I'd really recommend filling out our boot fitter form and we can go from there! top power strap (removable) or burly Velcro strap (non removable)? Hey Al! It's in the non-removable power strap (the lower one). 3 forward lean settings? Did they change this around? Hey Michael, oh dang, good catch. That's a typo on our part and I'll correct it right now, but it looks like there are only two forward lean settings and it's adjusted by the eccentric bracket bolted onto the lower shell where the ski/walk lever locks into place. Any changes for the F1 this year other than cosmetic? Thanks! Hey Ben! There are a few small changes (most noticeably the Recco in the strap) but the fit didn't change and skiing/walking performance didn't change either. 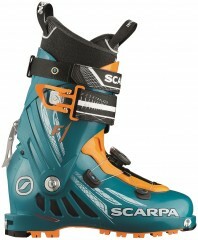 I am still not be able to decide witch one should I take : the Scarpa F1 or the new Dynafit speedfit boot. 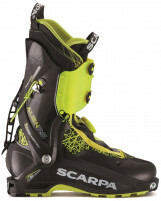 need your opinion on which one can drive harder in back country and some time in resort as well, and another question is how these boot going along with tech crampon? I am using Petzl Lynx for water fall ice climbing, but some times approach with my touring ski and I don't want to carry two boots.  Hey Liming! For everyday use, abuse, and charging in the backcountry as well as occasionally in the resort I think the F1 is the better choice there. The Speedfit walks a touch better than the F1 but I don't think the Speedfit has that extra powerband to drive huge skis like the F1 does. Lynx compatibility with the F1 or Speedfit should be fine either way. 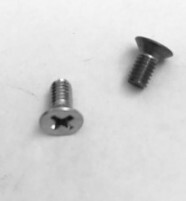 I bought these after I wore out the liners (and had trouble finding a replacment--finally ordedred Tourlites from Palau in France) and busted a rivet (eventually replaced) on my TLT6M. Fit is slightly tighter than the TLT6, more roomy in the forefoot than the TLT5--fine for me. I prefer the Boa over the single buckle on the TLT6--easily to adjust finely for striding and for skiing down; gives a more secure feeling along the forefoot--more of a feeling than an effect tho. Likewise I like the finely adjustable cuff/stap buckle, very nice. I also prefer the external lean lock compared to the lock on the TLT6 (I do use the mylar tubing on occasion to keep the TLT6 tight w/o lean locking). It is about 1 lb heavier than my stripped down TLT6. I removed the power strap and threw it away and put the attachment things on Booster straps which I carry in my pack (I have intermediate Booster straps for my TLT6 and for my F1s and expert Booster straps for my Mercuries and Dalbello Panterra 120s). The ramp angle seems to be significantly less than in my TLT6, resulting in some backseat driving until I adjust the binding delta. Both boots walk and climb fine. I have the Maestrale (in 29.5) and I think you convinced me to stay with the same size in the f1. However I have heard that I may have troubles using my skis interchangeably between the two boots. Is this something I should be concerned about? How much variation is in the shell length between the two boots? Hey Wes! Yes, absolutely. Maintaining a proper heel gap is critical to a properly functioning binding. Assuming a 29.5/30.0 shell in both the F1 and Maestrale 2.0 (latest edition that we carry here) and taking into account the offset toe fittings in the F1, the functional difference in length is 15mm, which is easily enough to necessitate some adjustment. That being said, there is a chance your binding has enough boot sole adjustment built-in and all it would take is a Torx or socket wrench to get it adjusted properly. what is the last size? Hey Ron! Should be 102mm! Can you suggest a lite crampon that fits this boot? Hey Eric! We have a boat load of options and most of them tend to fit pretty well actually, we haven't found any compatibility issues with the F1 and any crampons. If you plan to be booting on snow almost exclusively and don't plan on doing a ton of pure ice and rock beyond just a quick scramble then the Petzl Leopard or Camp Race 290 are sweet! Otherwise the Camp XLC NanoTech is a great light 'n fast crampon where you may encounter more than just snow and the Petzl Irvis Hybrid and Grivel SkiMatic 2.0 are awesome lightweight "technical" crampons! Is it possible to perform a navicular punch on these boots? I have flat feet and use blue superfeet in my punched TLT6s (with navicular cut-outs in the liners as well) to achieve an excellent fit. The F1s fit my feet wonderfully with the exception of my naviculars, but I noticed that the necessary punch would be in the middle of their striped "carbon core" section of the ankle. Unfortunately, I haven't been able to get a solid answer about this yet from any other shops and would appreciate the help! Hi John, it's probably not the best boot if you need work in that area since, no, it's not a good idea to punch the carbon core area. The Fischer Travers Carbon might be a good option there. 27.5/28 or keep the same size as my maestrale RS 1.0 as size 26.5/27? A lot of our customers who have the Maestrale are finding that they are very happy with the fit of the F1 as well. If you feel that you have a good fit with the Maestrale in a 26.5/27.0, I would suggest sticking with that shell size. I finally have been able to put quite a few days on these boots and I have nothing but good things to say about them. They drive my Blizzard Zero G easily, with plenty of oomph to spare. I would use these for (light-ish touring skis) up to 100mm under foot with no problem. The boots are very comfortable, with a wider last, and don't squeeze my toes like some other brands do. This is important because it can be stupid cold in NH. My coldest ski day this year was a high of -15f. They climb ice and easy rock suitably well and my crampons fit good enough. These boots are comfortable and climb well enough that skiing in and climbing in my ski boots is now a default unless the climbing is harder than WI3+ or 5.4 ish. The sole seems pretty durable. I really like the velcro/buckle combo on the top of the boot. I wish I could add one to my work ski boots. I did ice up the locking mechanism once, it wouldn't hold the boot in ski mode. However I did this by punching through the snow into a slush filled creek. A voile strap held the lock in place until the ice loosened up enough to return to regular function. This type of event would probably mess up a lot of boots. The removable velcro power straps are nifty, but not necessary. After logging about 60 days in the F1 this year, I'm convinced that it is one of the best light touring boots out there. I've toured exclusively on the tlt series since the 5 came out, but the tlt5 and 6 were never quite wide enough for me, and the tongue was always annoying to take in and out, so I thought i'd give these a try this season. The first thing you notice is that they are comfortable, like super comfortable, so comfortable that I put them on in my house, drive to the trailhead, wear them all day, then drive home in them, all without ever feeling like I was wearing a ski boot. Second of all, they tour very well, better than the tlt5 and 6. I appreciate having the ski/walk lever separate from the buckle, this allows me to throw them into ski mode quickly when I encounter a skiable hill when nordic shuffling out of a zone (something we do a lot of in Montana). They push a fat ski just fine with good technique (I personally switch to a Salomon Mtn Lab for anything over 100mm in the waist but I know many people who use them with powder skis). The only concession I'll make is that they're quite fiddly to get all the parts lined up when putting them on, but once you've got them sorted they are one of the best boots i've ever used. How does the sizing run in these compared to other Scarpa boots? I wear a 28 in Maestrales, original F1s, etc. Also, the forward lean options of 20 and 22 seem overly aggressive compared to other similar boots -- are they really that aggressive (maybe don't look like it from the photo), and, if so, is there an option to make them less so? Hey Andy. Length is exactly the same as the other boots in the Scarpa line, I think you'd be safe to try the 28. It does have a different last than the original F1 and Maestrale but it's still a Scapra so the shape is fundamentally pretty similar. You're right, even at the most upright position at 20 degrees, it is quite a bit more aggressive than the other boots in this category. If you feel like you are too far forward you can always shim the toe pieces a little bit. What binding are you using? Had maiden voyage today and was thrilled with the fore and aft flex. And the stiffness down a tight tree trail in Colorado's Front Range, inspired confidence through just below average conditions! Question....what trick do I need to know to slip my foot in and out of these without wrestling the Carbon Core Tech....??? Thanks for the feedback Scott. These are much easier than the F1 Evos when they first came out! The tongue pops off the snap right at the ankle to gain space. They also get a little easier with a mold or some breaking in. I have been interested in this boot for awhile to finally get into a light boot with a great range of motion in walk mode. The problem is my 31.0 shell size. This boot and a few Sportiva models seem to be the only boots in this category made in my size. And even fewer retailers stock these large sizes. I have only been able to find my size in this boot on your site and another online retailer. Is there a reason for this? Should I be concerned that the lighter boots will not work well for bigger people? Hi Mike, no reason to be concerned, you're just observing market economics. The lighter stuff is not yet mainstream in the U.S. versus heavier kit, so many local shops are loath to carry odd sizes.